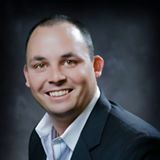 Ben is a licensed Central Valley Real Estate Professional specializing in real estate investment and developement. Since obtaining his bachleors degree from Cal Poly in 2006 Ben has managed to start up two successful Real Estate Investment partnerships, Lionsgate Investments and Bran Homes. If you are searching for an expert to take care of your real estate developement and investment needs, look no further.